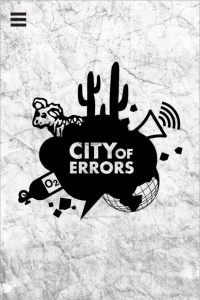 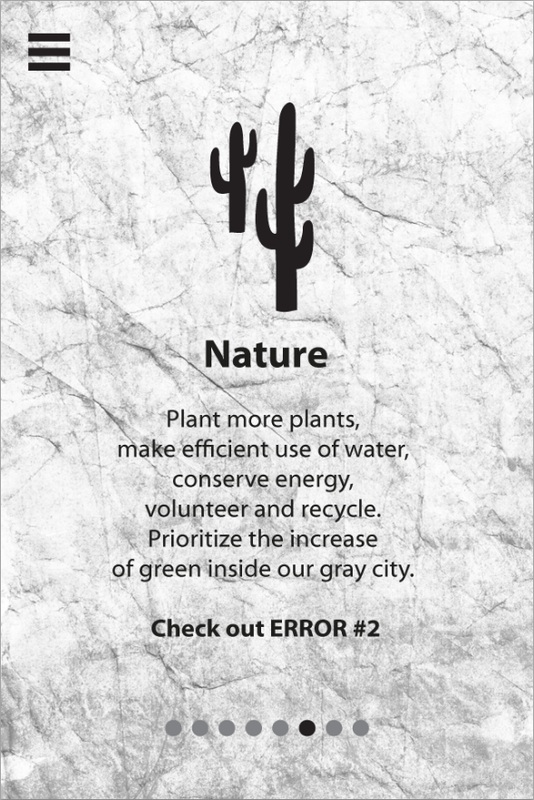 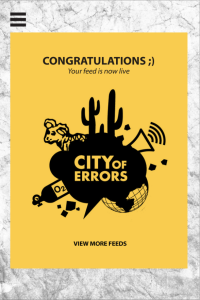 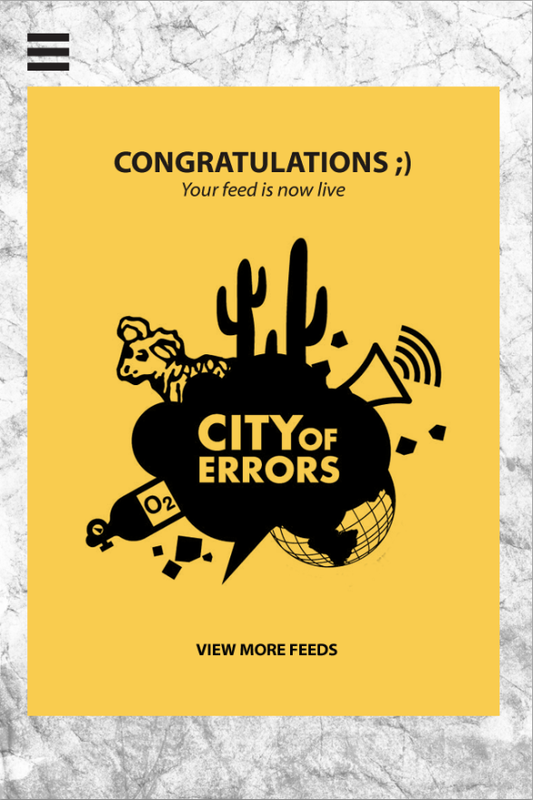 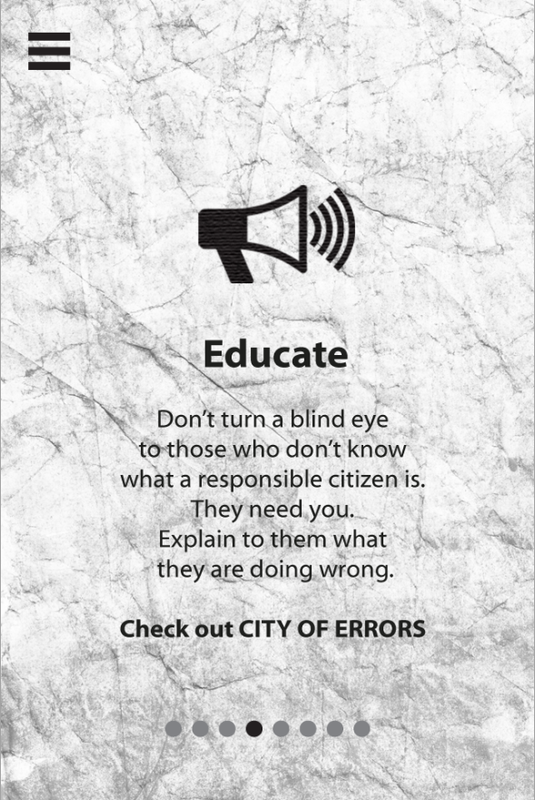 City of Errors is a storytelling app. 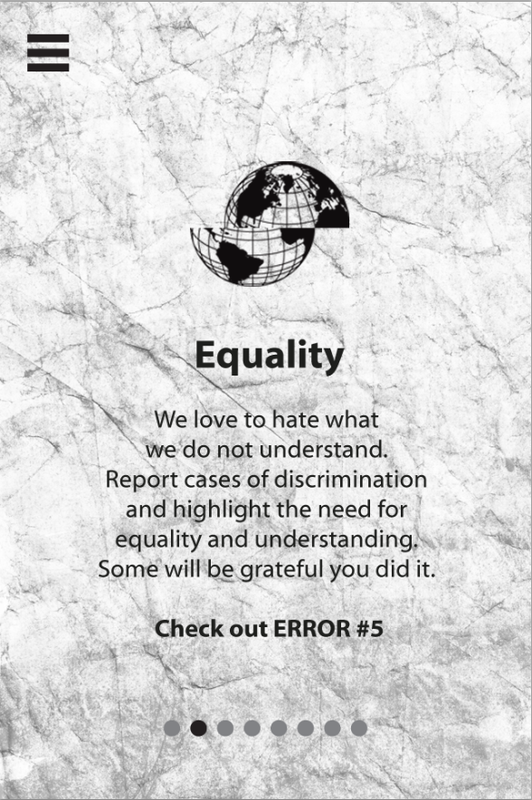 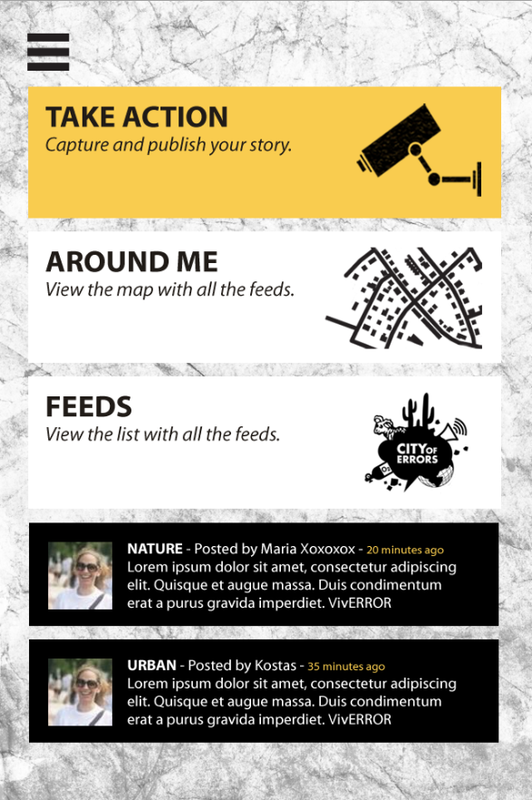 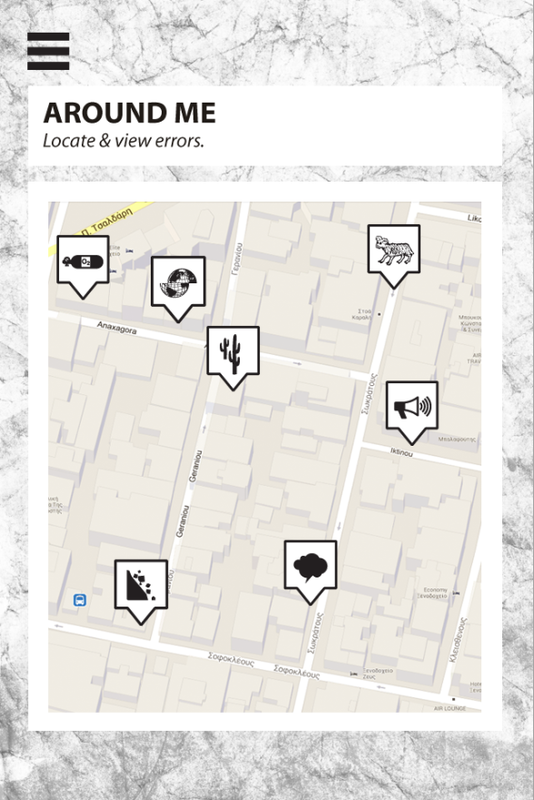 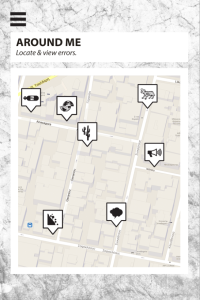 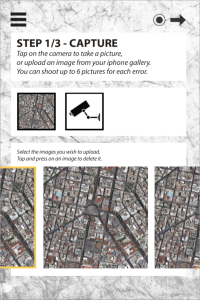 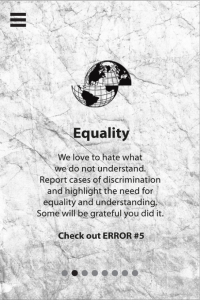 Through the app, you can upload, categorize, geolocate and share photo-stories of your actions to fix the small errors of your broken city onto our online City of Errors platform. 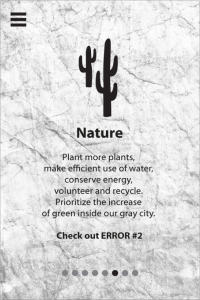 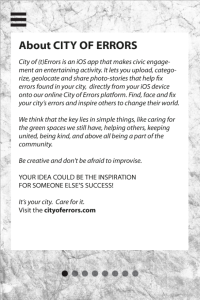 The idea is to find, face and fix your city’s errors and inspire others to change their world. 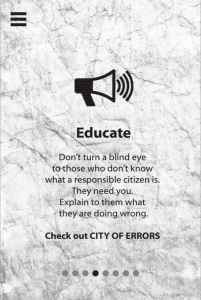 The key lies in simple things, like caring for what surrounds you, helping others, keeping united, being kind, and above all being a part of the community. 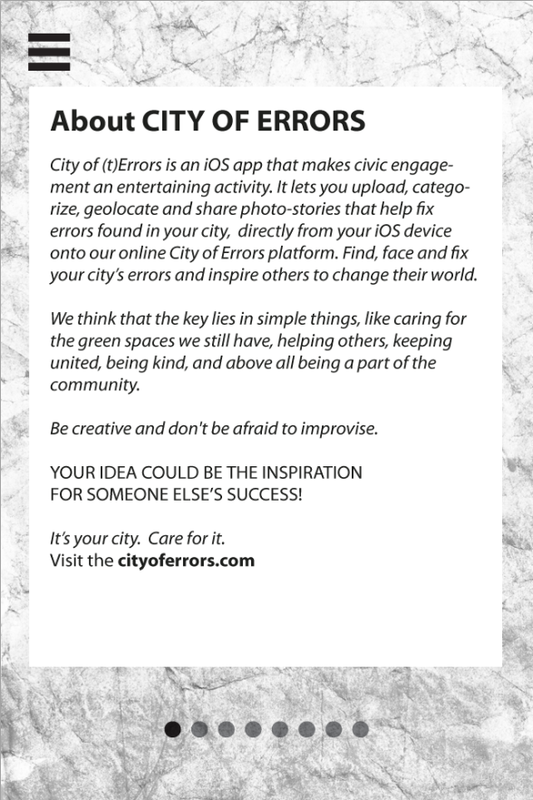 The City of Errors iOS App was released for a short period of time on the App Store and is no longer available. 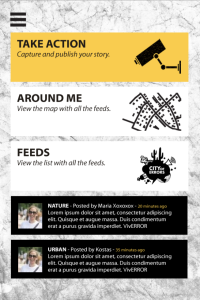 Here is a glimpse of some of the graphics of the App made by Anastasia Komnou. 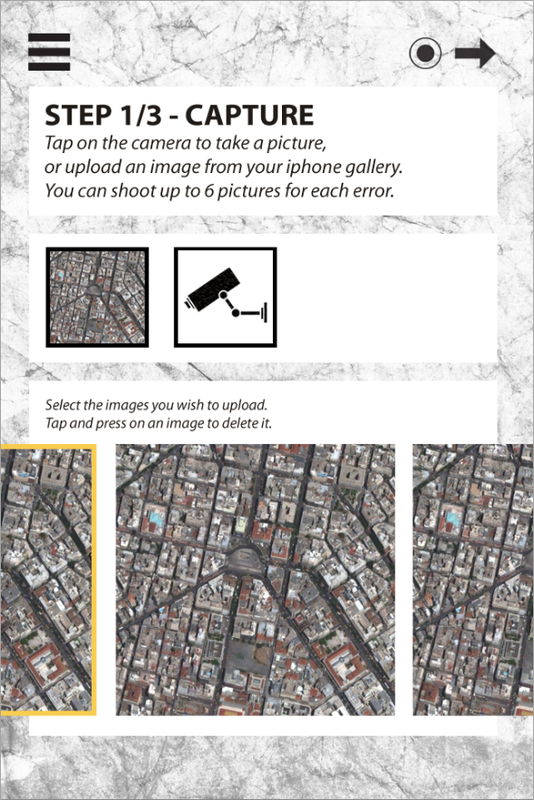 Press on each icon to zoom in, press back on your browser to go back.